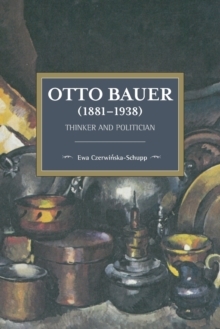 Otto Bauer, the main political leader of the Austrian Social Democratic Workers Party, had a far-reaching impact on the socialist movement across Europe. From his theories of imperialism and the national question, to his day-to-day practical work building a mass organisation, Bauer's contributions shaped the First and Second Internationals. This critical biography examines his ideas and their legacy.